After your preflight briefing, you take to the sky. You will receive a demonstration of the flight controls while you follow along with a Certified Flight Instructor. 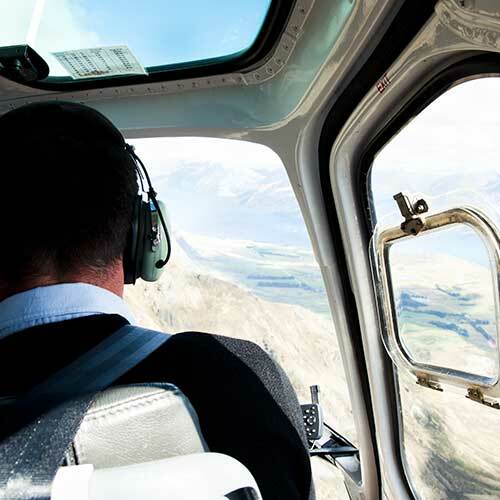 After a briefing and a preflight of the helicopter you take to the sky. You get to take the controls and fly under the close supervision of a Certified Flight Instructor. You will receive 60 minutes of ground school from a Certified Flight Instructor learning about flight controls, aerodynamics and aircraft systems. You will then head out to the tarmac for a preflight of the helicopter. After the preflight checklist is complete you will take the controls while flying above Las Vegas. This is an entire flight lesson where you begin your path to becoming a pilot. *Above pricing has a weight limit of 220 pounds. If over 220 you will fly in a larger helicopter. *Maximum weight limit allowed is 280 lbs. If your weight is above 220 lbs and below 280 lbs, add $10 to the Demo, $20 on to the Discovery, or $30 on to the Aviator Flight.